Free Download Rush Hour! Gas Station Game or Get Full Unlimited Game Version! Your Uncle Tony needs you now more than ever! He's just spent all his savings on his lifetime dream: running his own gas station! In order to get advantaged of playing Rush Hour! 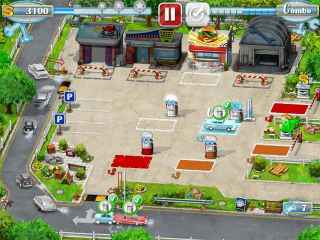 Gas Station full unlimiteg game version you must register the game. Your Uncle Tony needs you now more than ever! He's just spent all his savings on his lifetime dream: running his own gas station! Serve the most hurried customers as quickly as you can. As the saying goes, time is money! 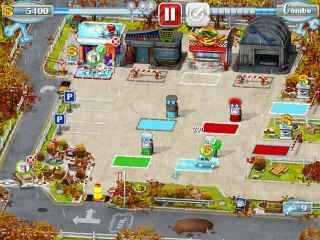 Gas Station: Rush Hour! is a fast-paced Time Management game in which you will have to demonstrate speed and intelligence to serve your customers in record time. The faster you are, the more satisfied your customers will be, and the bigger your tips will be. Be careful not to fall behind! Tardiness means lower earnings. Have fun building up combos by serving the same colored cars and increase your earnings more quickly in doing so. Spend the fortunes amassed during your adventure on improving your station and making it more attractive, allowing you to serve more customers. The family business's success and longevity depends on it. Act quickly and effectively, for the clock is ticking and you have a lot of customers counting on you! Aspiring chef Heidi is convinced burgers can be fine cuisine too - and she's out to prove it! Join Heidi on her quest to create the perfect burger! The Smokestack Coffee Company is polluting the town with bad coffee! Open your own Coffee Shop and take back the town in style!